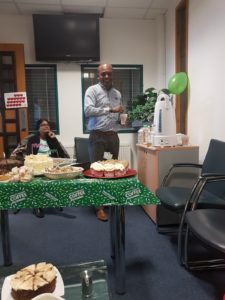 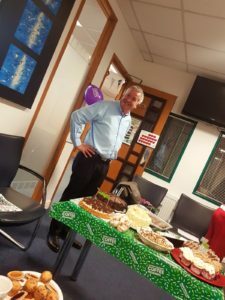 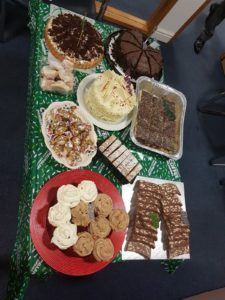 The Managing Director Siva Kugathas over at ServiceMaster Clean Contract Services Guildford & Thames Valley joined in with the nation hosting a Macmillan coffee morning for the staff in his team and other staff within his office building. 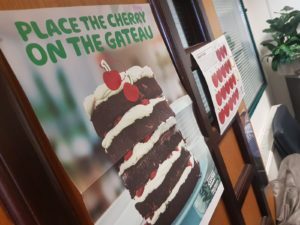 There were fun little games like “Place The Cherry on The Gateau” and guess the weight of the cake, along with more cake and coffee than a supermarket, it ended up being a fun morning, with some full stomachs! 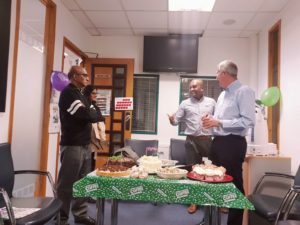 Siva, the management team, some friends and the ServiceMaster Clean Contract Services brand manager, Guy Strang raised the grand total of £300.22. 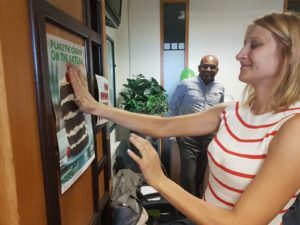 I’m sure this is something they will do next year and after hearing how much fun the team had, and how much money was raised other ServiceMaster Clean Contract Services teams around the country will do the same next year also.